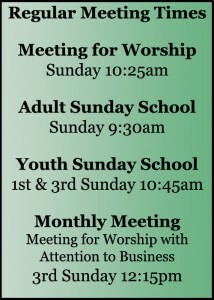 Adult Sunday School 9:30-10:20 a.m. every Sunday. Meeting for Worship: 10:25 a.m. hymn sing until 10:35a.m., continuing into worship. 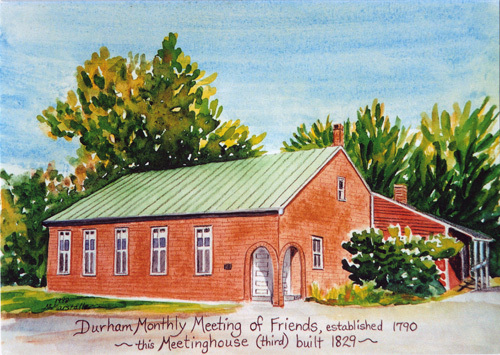 Sunday School for children and youth will take place on the 1st and 3rd Sundays through May. They begin in Meeting for Worship, and then go to the Christian Education Room after the Youth Story. Childcare is available during Meeting for Worship. There is a prepared message each Sunday except on the fifth Sunday of a month (if there is one).